This winter, qualified customers can get a $1,000 bonus when you purchase or lease select new Audi Q5 models through Audi Financial Services. The Q5 marries effortlessly smooth handling with sharp design elements like striking LED daytime running lights and an unmistakable Audi profile. 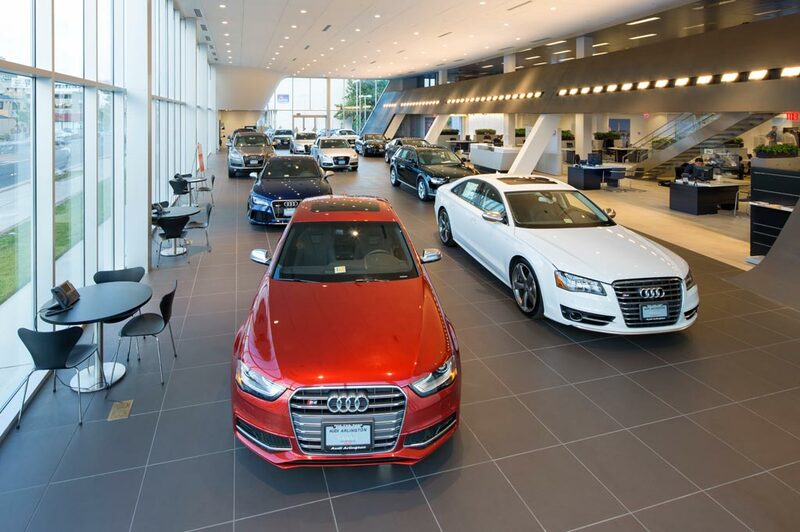 Audi Morton Grove in Morton Grove, IL treats the needs of each individual customer with paramount concern. We know that you have high expectations, and as a car dealer we enjoy the challenge of meeting and exceeding those standards each and every time. Allow us to demonstrate our commitment to excellence! Our experienced sales staff is eager to share its knowledge and enthusiasm with you. We encourage you to browse our online inventory, schedule a test drive and investigate financing options. You can also request more information about a vehicle using our online form or by calling (847)998-8000. Those in search of a new 2018-2019 Audi vehicle in Morton Grove, Chicago, Park Ridge, Evanston, Des Plaines should visit us at Audi Morton Grove. Our dealership offers a wide selection of vehicles to choose from, and a team of specialists who have the knowledge and expertise to assist you throughout your car buying experience. We always say here at Audi Morton Grove that the only thing better than inspecting and experiencing that new car smell on a new 2018 Audi A5, A6, Q3, SQ5 or a new 2018 Audi A4 or Q7 is to test it out on the road. Our Audi experts can provide you all of the specs of any model that is of interest to you, so you will feel fully informed when it comes times to make a decision. Audi Morton Grove doesn't just have an outstanding inventory of new cars, our dealership also has a great selection of pre-owned Audi models in our used car inventory. Each vehicle at our used car dealership is thoroughly inspected to ensure that it meets our standards and will provide you with the quality and reliability you are looking for in the Chicago, Park Ridge, Evanston, Des Plaines areas. We take pride in our used car models, here at Audi Morton Grove. We encourage you to explore our superb selection of new and used luxury cars by browsing our online inventories and visit us for a test drive when you find a model that sparks your interest! Auto financing is just another aspect to the car buying experience that Audi Morton Grove offers in-house. Our car loan and Audi lease specialists can find you the financing option that fits your lifestyle and needs. Once you drive your new Audi car off our lot, that doesn't mean our relationship ends. Our goal is to make sure your levels of satisfaction remain high for many miles, and we support you by offering Audi parts. If you need something that isn't currently in stock, we'll place an order for you. In addition, we also provide auto service as our team of maintenance pros aim to keep your luxury car running like new with routine maintenance, checkups, and much more. You don't have to take our word for it though; come on down to Audi Morton Grove at 7000 Golf Road, Morton Grove IL today. Whether you're a local driver or are making the trip from the surrounding Chicago, Park Ridge, Evanston, or Des Plaines areas, we'll strive to give you an enjoyable dealership experience. If you have any questions or would like to schedule a test drive, simply fill out our online contact form or give us a call at 888-459-9376.